Posted December 10th, 2016 by Mike Boyes & filed under Anxiety OC PTSD, Clinical Health Psychology, Clinical Neuropsychology, Health Psychology, Neuroscience, Physiology, Research Methods, Stress, Stress Biopsychosocial Factors Illness, Stress Coping - Health. Description: Given that this time of year (heading into end of term exams) is particularly stressful and anxiety provoking for college and university students I thought I would talk about three articles (this one and the ones above and below it) that are about stress but which look at stress from a novel, hopefully distracting, perspective which could provide a brief reprieve from the exam preparation grind. 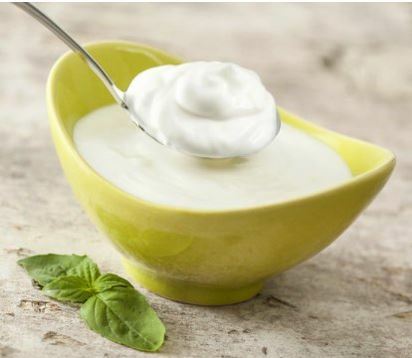 The second article, linked below, looks at the relationship between probiotics, the bacteria that live in our guts, and the functioning of our central nervous system. As you read the article linked below there are three things to look for. The first, and the most obvious, is the relationship between gut microbes in the incidence of stress behaviours and anxiety. The second is methodological and focuses on what they refer to as the Zebra fish Model which is used in neuroscience and psychopharmacology to look at the relationship between things like gut microbes and functioning of the nervous system. Finally, the article as a whole represents an example of what has been sometimes referred to as a paradigm shift in neuroscience essentially involving a realization that how our gut functions may have direct causal implications for the functioning of our central nervous system and our brain. Source: Common probiotics can reduce stress levels, lesson anxiety, Science Daily, Science News. The data looking at the relationship between gut microbes and central nervous system and brain functioning is increasingly compelling. The work is also providing us with a good example of how neuroscience enters into new areas of research. Specifically, an important first step is finding a model, or more specifically an animal of some sort, with a nervous system that is simple and yet complex enough to allow us to look at things like the relationship between gut microbes and central nervous system functioning. While there is still a long way to go, it does seem to be making sense to suggest that the old line “you are what you eat” may have much more truth to it than originally supposed. What relationship appears to exist between the level and diversity of gut for microorganisms and the experience of stress behaviours and anxiety? What evidence was offered in support of there being a possible causal connection between probiotics and stress behaviours and anxiety? What role might this understanding of the relationship between probiotics and stress and anxiety play in the treatment of individuals who are experiencing difficulties with stress and anxiety?